Happy Friday!! 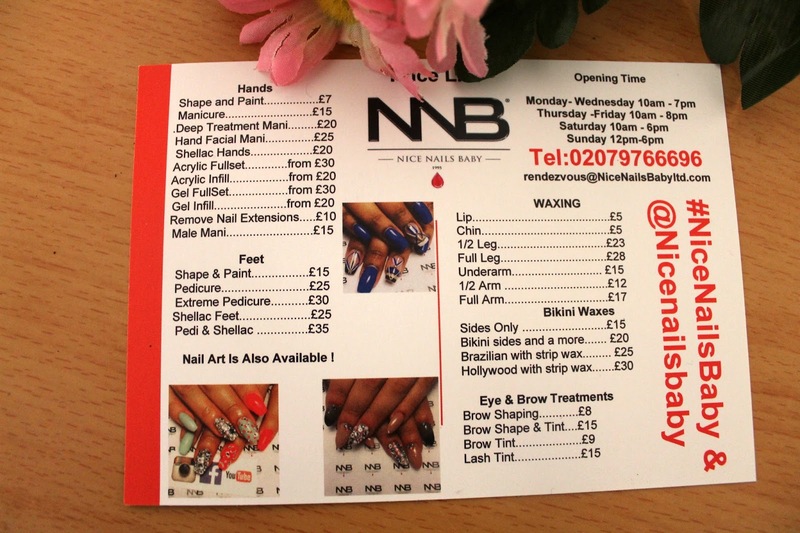 today I am bringing you a review of one of the subscription bags I was kindly sent from Nice Nails Baby. Nice Nails Baby are a London based beauty salon who specialise in nail and beauty products. Back on April 4th they launched their beauty subscription tote bags that focuses on high end beauty care and contains five beauty products as well as vouchers to spend either online or in store. I feel as if subscription bags/boxes have become bigger than ever this year. I'm personally not signed up with any but I think the idea of being able to get items within a bag/box subscription which work out cheaper with the subscription rather than buying each product individually is a really great idea and also means you don't have to spend lots of £££. I was pleasantly surprised with the contents inside my Nice Nails Baby bag. Mine included four OPI products of the quick drying top coat, nail strengthener and two hand and body lotions in ginger lily and jasmine. I couldn't be happier with my products as I'd actually been on the lookout for new products to try to help keep my nails in better condition. Since getting my bag I've used both the strengthener and top coat quite religiously and it feels really nice to be taking better care of my nails. I was also gifted a £20 voucher to spend on their online store which is full of other products from OPI, Essie, gel polish, vouchers and a few other beauty items. The subscription prices vary, a month only costing £15, 3 months for £35 and there is also the option of a 6 or 12 month subscription which are priced at £60 and £100. This is definitely a subscription bag that I wouldn't think twice about ordering in the future, and definitely recommend to anyone looking to get their hands on a few good beauty products. Would you consider subscribing to a beauty subscription bag/box?